1. OK, the Viper checks out, but the Veyron? Really? 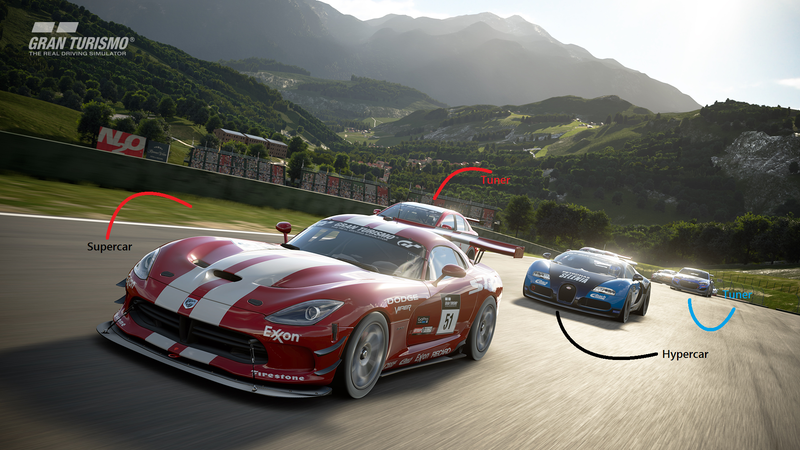 In GT Sport’s equivalent of GT4? Or is this an allegory about the real world expansion of the GT4 bubble? If it’s the latter, how cheeky of you, Polyphony. If not, you’re dumb. 3. I appreciate the GT300-like Subaru and Mitsubishi, and I appreciate the effort Polyphony went to come up with Gr.3 cars with no licensing, but really, that convertible Golf is inexcusable. 4. That said, I am drawn to the Gr. B cars. They’re all sorts of wild and wonderful and immensely entertaining what-could-have-beens, and are good enough stand-ins to the real-life rally cars that they represent. 5. That is precisely how I wanted the Focus RS: with no mouthguard bumper. Looks much better, really.